Meet the Xbox One X Project Scorpio: dubbed as the most powerful gaming console ever, the unit has 6 teraflops of graphical processing power and a 4K Blu-ray player. You will still be able to use all your favorite Xbox One games. Its 12 GDDR graphics memory means you get a smoother playing experience. 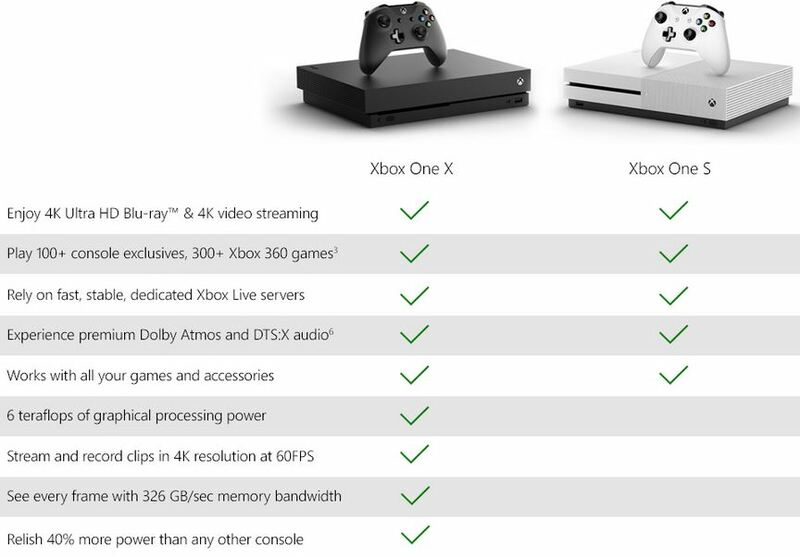 The Xbox One X is ready for 4K streaming, so you can access Netflix, Amazon, and other stream providers.